Time: Saturday, 7 p.m.; Sunday, 2 p.m.
Amazing performances for all to enjoy by students of Greater York Dance. Tickets on sale in April at the Appell Center for the Performing Arts. 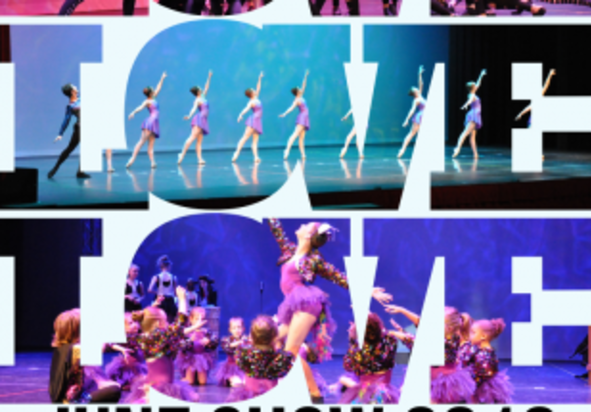 The Saturday 7 p.m. show will feature Classical & Contemporary Concert Dance and the Sunday 2 p.m. show will feature our Early Childhood Division in Showtime! 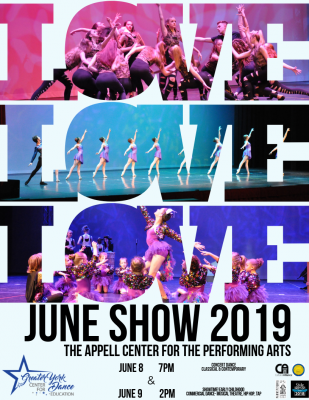 along with our Commercial Dance division presenting a Musical Theatre Production entitled Love, in addition to Tap and Hip Hop.